How does Boycott, Divestment and Sanctions, or BDS — the movement to boycott, divest and sanction the Israeli state for its occupation of Palestine — pose a “direct and serious threat to academic freedom”? Like the South African anti-apartheid boycott and divestment movement of the 1980s, BDS targets state-funded Israeli institutions and Israeli commercial activities. It does not try to prevent anyone from saying anything or attempt to sanction or thwart individuals for their political positions. Why did the 10 chancellors make a statement against BDS and BDS alone? Why no mention of the attacks on students and professors by such organizations as the Canary Mission and the David Horowitz Freedom Center? 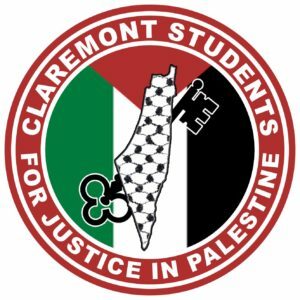 These organizations have targeted and continue to target and often defame UC scholars and students for advocating for justice in Palestine or offering courses that submit Israeli policy to critical analysis. These blacklists, in effect, thwart academic careers, not only academic speech. According to one report, in the last year, there were 289 known incidents of suppression of U.S.-based Palestinian advocacy. Moreover, if the chancellors are worried about threats to academic freedom in this policy domain, why no mention in the statement of the Israeli state’s routine violation of the academic freedom of Palestinian students and faculty members on the West Bank? If the chancellor does not believe that the joint declaration would “have a chilling effect on the debate and discourse … on this campus,” then how to explain The Daily Californian soliciting and then shutting down a BDS perspective on the chancellors’ statement? A chancellor’s personal statement of views is very different from a joint statement by the 10 UC chancellors — the latter veers closer to a UC position than personal opinion. Is such a position, unexplained or defended, an effective way of promoting discussion on a complex political issue worthy of protected and open debate? How and why did the chancellors come to make a joint statement on this particular issue? Was there direct or indirect pressure on the chancellors to make this statement? Soon after the collective statement was issued, 101 organizations of the Academic Engagement Network defending Israeli policy wrote a thank-you letter to the 10 chancellors. Perhaps these organizations never asked the UC chancellors for such a statement; perhaps the motivation for the statement was spontaneous and autonomous. But the possibility of external pressure looms larger as the university relies more heavily on private donors. In any case, the lack of transparency in the reasons for this unusual joint statement calls into question the invocation of academic freedom. As Christ knows well from having to deal with invasions by right-wing provocateurs wearing its mantle, academic freedom is already being twisted for too many other inappropriate purposes in our time. Finally, we know a number of faculty members who support this very letter but feared to put their name to it. What does that say about the already existing chilled climate for speech that the chancellors’ letter has exacerbated? Michael Burawoy is a Sociology professor, Paul Fine is an Integrative Biology associate professor, Gillian Hart professor emerita and professor of Geography, Lyn Hejinian is an English professor, Celeste Langan is an English, Christine Rosen is a Business professor, Leslie Salzinger is a Gender and Women’s Studies professor and James Vernon is a History professor at UC Berkeley. Los Angeles, CA — Today, students, campus workers, and allies from across the University of California system are in Los Angeles to call on the UC Regents to listen to student voices and divest university funds from corporations that profit from human rights abuses against the Palestinian people. Following the UC Regents’ signing of the United Nations’ Principles for Responsible Investments in 2014 and clear votes in support of divestment by the University of California Student Association (UCSA), UC Graduate Student Worker Union (UAW 2865), and Student Governments on eight out of nine UC campuses, students are demanding the UC Regents ensure that the UCs reflect the values we all hold dear: freedom, justice, and equality. The UCs are invested in the following corporations profiting from rights abuses, as documented by reputable human rights organizations: Lockheed Martin, Raytheon, Northrop Grumman, Boeing, Caterpillar, Cemex, HP, General Electric, 3M, Perrigo Company, Atlas Copco, Ford and Hyundai. Lockheed Martin, for example, manufactures Apache helicopters that have killed Palestinian civilians, including children, and Caterpillar supplies bulldozers to the Israeli military to demolish the homes of Palestinian families to make way for illegal Israeli settlements. Instead of investing in corporations that harm communities, universities should be investing in corporations that do business ethically. Given the current political climate, it is critical that universities do all they can to support students and hear their concerns. Students, university workers, and allies are tired of their voices being ignored, despite widespread calls for action. The fact that eight of the nine UC campuses as well as the Graduate Student Worker Union and University of California Student Association have voted to support this campaign shows that there is overwhelming support for divestment and Palestinian rights at nearly every democratically elected decision-making body of the UC system. The challenge now is to persuade the unelected body of UC Regents to heed the voices of the UC system and act to support human rights. Our money is our responsibility, and we are liable for the ways in which the UC invests out tuition dollars, especially if these investments impede upon the fundamental human rights of other people, including the families of Palestinian students on campus. If not us, who else will take responsibility for where our money is going and who it is hurting? 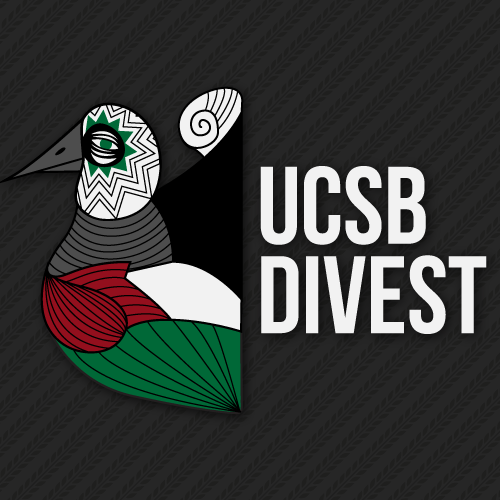 On Wednesday, March 14th, we will be delivering our demands directly to the UC Regents, as well as engaging in a day of education and movement building to strengthen the UC wide call for divestment. We will be there, building lines of solidarity and for the future goals of our united communities. After student pressure, the UC relented to the call for divestment from companies supporting Apartheid South Africa in the 1980s, from companies involved in human rights violations in Sudan in the 2000s, and from some of the worst corporate polluters and destroyers of the environment in the 2010s. We expect that the UC will see the call to respect Palestinian rights in the same terms as those prior calls and cease to invest in corporations whose activity is tied to the violation of human rights in Palestine and around the world. There is no other way to abide by the Principles for Responsible Investments which they signed onto, and no other way to respond to the democratic will of the student governments of the UC system. We expect the University of California Regents to take action to demonstrate they truly support responsible investment. They have an opportunity to show they value human rights and freedom for all peoples. A detailed list of demands is available here. Students for Justice in Palestine is a grassroots student-led organization that advocates for Palestinian freedom, justice and equality. Students for Justice in Palestine Demand that the UC Regents Divest from Corporations Violating Palestinian Human Rights! Answer the Calls of the UC Students and Student Bodies! WE DEMAND that the University of California Regents recognize the Human Rights Violations committed by the Israeli state and its contracted corporations, against Palestinian peoples in the forms of military weapons sales (1) and illegal settlement expansion (2). WE DEMAND that the University of California Regents recognize the 172 Israeli human rights violations committed against the Palestinian people (4), as reported by the United Nations, Amnesty International (5), and Human Rights Watch (6). WE DEMAND that the University of California Regents introduce a screening process that can screen and target companies for their potential human rights violations, including human rights violations committed by the Israeli state against the Palestinian people. WE DEMAND that the University of California Regents implement guidelines to supplement the United Nations Principles of Responsible Investment that take into consideration the 172 Humans Rights Violations committed by the Israeli state against the Palestinian people through military and colonial occupation of Palestine. WE DEMAND that the University of California Regents implement system-wide (and for the regents), guidelines to supplement its divestment criteria to include nations or corporations that are actively committing numerous human rights violations, as documented by the United Nations and the International Community. WE DEMAND that the UC Regents thus terminate all investments in corporations violating Palestinian Human Rights that exist within the UC Regents’ Investment Funds. WE DEMAND that the University of California Regents adhere to and enact the decision of the University of California Student Association (UCSA), the “official representation of the student body of the University of California and the various campus student governments to the University of California Office of the President, the University of California Board of Regents, and other University related entities,” in their resolution to “Divest from Corporations Violating Palestinian Human Rights”(7). WE DEMAND that the University of California Regents adhere to and enact the decisions of the Associated Students leadership at the University of California, Berkeley; University of California, Davis; University of California, Merced; University of California, Los Angeles; University of California, Irvine; University of California, Riverside; University of California, San Diego; and University of California, Santa Cruz (8) in their resolutions to disinvest University funds from companies that invest in the occupation of Palestine and in the violation of Palestinian human rights. WE DEMAND that the University of California System disinvest all tuition dollars, investments, and stocks from the following companies that have violated the universal right “to life, liberty, and security of person;” “to education;” to “privacy, family [and] home;” “to own property, and …[not to] be arbitrarily deprived of property and consequently violate Palestinian human rights (9): Lockheed Martin, United Tech, Boeing, G.E., HP, Caterpillar, Ford, Hyundai , Cemex, Raytheon, 3M, Northrop Grumman, Perrigo Company, and Atlas Copco. In order to adhere to a more comprehensive and accurate Human Rights Screening Process, WE DEMAND that the University of California divest from the following corporations on the basis that Amnesty International, Human Rights Watch, and the United Nations’ have documented and condemned the companies’ participation in Human Rights Violations against Palestinian people, along with their complicity in Operations Cast Lead and Protective Edge. 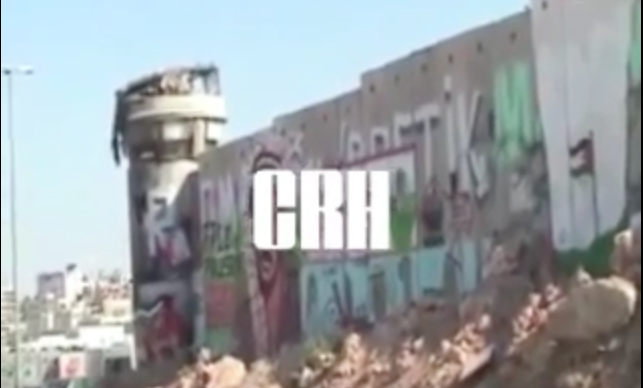 The United Nations has ruled that Israel’s Operation Cast Lead (10) and Operation Protective Edge (11) are in violation of International Human Rights Law. WE DEMAND that the University of California divest from Lockheed Martin Corporation (14), which is in violation of the UN Principles for Responsible Investment (15), as it has committed human rights violations in its manufacturing of Apache helicopters that targeted and killed 1,394 Palestinian civilians–including minors– in Gaza in 2008-9 during Israel’s Operation Cast Lead (16). WE DEMAND that the University of California divest from HP (17), which is in violation of the UN Principles for Responsible Investment (18), as it manages the Israeli government’s population registry and its systems that are used to segregate Palestinian residents of the West Bank, as well as provides all the PCs for the Israeli military since 2009, the year of Israel’s attack on Gaza through Operation Cast Lead. WE DEMAND that the University of California divest from Caterpillar (19), which is in violation of the UN Principles for Responsible Investment (20), as it is a long-standing supplier of the Israeli army, providing Israel with several models of the D9 armored bulldozer used for large-scale home demolitions in Gaza and the West Bank, as well as for land-clearing missions on Palestinian land to expand Israel’s illegal land annexation and settlement expansion (21). WE DEMAND that the University of California divest from Cemex (22), which is in violation of the UN Principles for Responsible Investment (23), as it owns, operates, and provides concrete elements for the construction of military and settlement infrastructure across the Occupied West Bank, which has been condemned internationally by the United Nations. WE DEMAND that the University of California divest from 3M (24), which is in violation of the UN Principles for Responsible Investment (25), as it is the sole provider of ceramic aircraft armor for Boeing’s AH-64 Apache Attack Helicopter, as well as for other military aircrafts in use by the Israeli Air Force that targeted civilians in Gaza during Operation Cast Lead and Operation Protective Edge (28). WE DEMAND that the University of California divest from Northrop Grumman (26), which is in violation of the UN Principles for Responsible Investment (27), as is has provided missiles and firing systems used in Israeli airstrikes on densely populated civilian areas in violation of International Law, as well as provided key equipment during the attack on Gaza during Operation Protective Edge (28). WE DEMAND that the University of California Regents utilize its students’ call to Divest to enact Socially and Ethically responsible investments system-wide, and truly fulfill the United Nations Principles for Responsible Investment (29). WE DEMAND that the University of California Regents implement a student oversight-committee to ensure and enforce the University of California’s adherence to the Principles of Responsible Investments (30). CSU Long Beach becomes the 13th California campus to pass a boycott or divestment measure. The Associated Students, Inc. Senate passed in a (15,7,1) roll call vote a divestment resolution from companies that profit from Palestinian oppression. One side of the gallery restrained their cheers and jitters, while the other side donned dispirited, reddened faces as the ASI Senate tallied their votes. This resolution would encourage the university to divest from companies that receive monetary gain from Palestinian oppression. The ASI Senate also passed two similar resolutions the same day that encouraged the divestment from companies that profit from LGBTQ+ oppression and private prisons. Now that all of the divestment resolutions have passed in the Senate, the university at large and its auxiliaries, such as the 49er Foundation and the 49er Shops, will decide whether or not they will support it. Since the inception of the divestment resolution regarding Palestinian oppression, the Farber Senate chambers have been filled with Jewish and Palestinian people alike, as well as campus members interested in the outcome of the resolution, all voicing their thoughts on the controversy of the Israel and Palestine conflict taking place overseas. The culmination of emotion before the vote was led by loud claps, cheers and snaps from the audience. Attendance at ASI’s last Senate meeting of the semester was at its highest due to the great controversy over the resolution. Students, faculty and others passionate about the topic sported t-shirts and held up signs advocating for their cause. The victory, which passed 3 total votes over the span of one month, came amid efforts to suppress and intimidate student senators, covered by Palestine Legal and in the Daily 49er. Students hailed the vote as precedent for further action in support of social justice. Although we live in a country that now gives 3.8 billion dollars in military aid a year to Israel, adopting this amendment is an important first step in reducing our complicity with a country that maintains an illegal military occupation and regularly commits war crimes against an indigenous population. 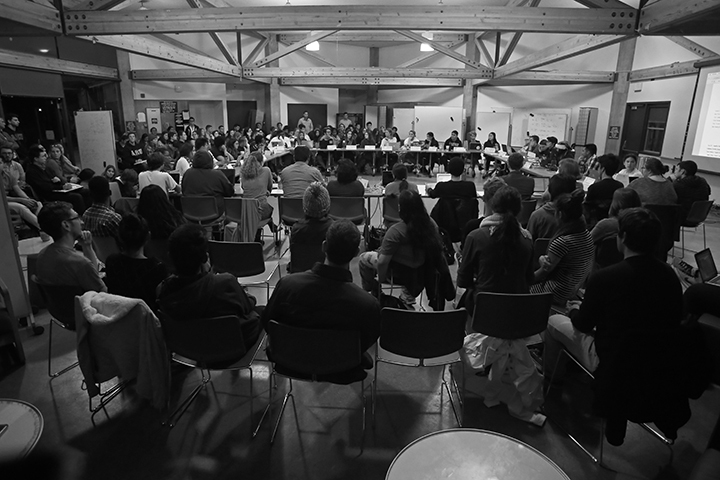 UCSC Student Government votes to overturn former UCSC President Shaz Umer’s unconstitutional overruling of divestment bill. 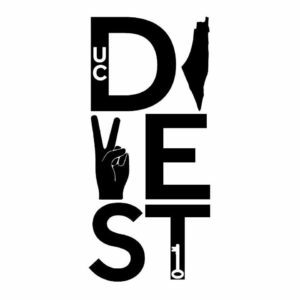 Vote means that UCSC is officially the 7th of 9 UCs voting for divestment, joining UC Berkeley, Irvine, Los Angeles, Riverside, San Diego, and Davis. With a 28-5-7 vote, the Student Union Assembly (SUA) approved Students for Justice in Palestine’s (SJP) appeal of former SUA Chair Shaz Umer’s controversial decision to nullify a divestment resolution passed in May 2014. 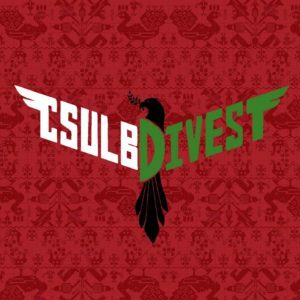 The University Socially Responsible Investment Resolution (USRIR), which calls for the UC to divest from companies “complicit in the severe violation of Palestinian human rights” is in effect as of SUA’s meeting on Nov. 18. The decision took more than two hours of discussion and presentations from SJP and Slugs for Israel (SFI), including questions from students in the crowd of about 70. The appeal didn’t address opinions about divestment, but solely on due process and whether Umer’s action in 2014 was constitutional. During that meeting, USRIR passed, but under unclear and allegedly illegal suspension of bylaws. In May 2014, when the resolution was one vote shy of passing the required two-third majority, a member motioned to suspend the bylaw to lower the approval to a simple majority. The motion to lower the threshold passed by exactly a two-thirds majority, allowing the resolution to be voted on again. The resolution, only needing a simple majority in the second vote, passed 22-14-1. Two days after the resolution supposedly passed, Umer decided to review USRIR and the bylaw’s suspension after objection from pro-Israel student groups. This review carried on for 17 days, and Umer ruled that the incorrect bylaw had been suspended, rendering the resolution’s passage invalid. SUA follows Robert’s Rules of Order, a notoriously complicated set of governing practices used to make decisions. The legality of motioning to suspend a bylaw and was one point of contest regarding Umer’s decision. SJP maintained that the resolution should be valid, according to the details of the bylaw. SUA president Julie Foster said she felt both sides had the opportunity to voice their concerns in this week’s meeting, but either might feel like they hadn’t finished expressing their full thoughts. After SJP presented the appeal last week, the decision was tabled to this week’s meeting. In the meantime SUA representatives discussed the appeal in their respective college senate meetings and SJP representatives attended some to answer questions. After the appeal passed, SJP members Camellia Boutros and Melissa Otero said despite people pushing the conversation toward divestment and away from the legality of Umer’s decision, there’s an overwhelming relief after the resolution’s passage. “It’s really good SUA was so concerned about democratic process, because that’s really important and it’s important to know there is due process at this school,” Boutros said. Five of the six elected SUA officers voted to pass the appeal. During heated parts of the discussion, more than 20 students would be on stack to comment but when a motion was made it had to be voted on, and the stack discontinued. “Call to questions” were frequently made to claim repeated back-and-forth argument. SUA’s community agreements allow for “points of privilege” to include allowing people to educate others on using inclusive language or voicing that they were offended by certain arguments. Those take precedent over people on stack, and raise issues regarding personal concerns of members and attendees. Fellow Stevenson College representative Gema Rodriguez said she believes divestment isn’t even a resolution SUA should consider. In the beginning of its presentation, SFI suggested the idea of a neutral, third-party judiciary committee to review the appeal. Foster said creating the committee would be a long process, since it would require the creation of a new bylaw, but also that even a third-party committee might struggle to remain neutral. During SFI and SJP’s presentations, both organizations said they would feel unsafe if the vote did not go in their favor. SFI pointed to anti-Semitic incidents on campus and UC-wide, and said at universities where BDS [boycott, divestment and sanction] resolutions have passed, Jewish students have felt more unsafe. SJP discussed incidents at events on campus last year, like its mock Israeli military checkpoints around campus, where they said its members were threatened. In a letter from Chancellor George Blumenthal dated May 20, 2014, he wrote that USRIR “may create an environment in which some of our Jewish students feel alienated and less welcome on our campus.” The letter, which was part of SFI’s presentation, marked another controversial point of the meeting since some SUA members who were on the assembly two years ago said they had never seen it. Scott Hernandez-Jason, UCSC’s news and media director, confirmed the letter’s validity after the meeting. During the meeting SJP member Boian Boianov said the reason the appeal is so controversial is because it makes powerful people, like administrators and regents, feel uncomfortable. Stevenson College SUA representatives said they will discuss their next steps during their senate meeting this week. Their main option to overturn this decision would be to propose a new resolution that nullifies USRIR, which would have to pass through SUA.